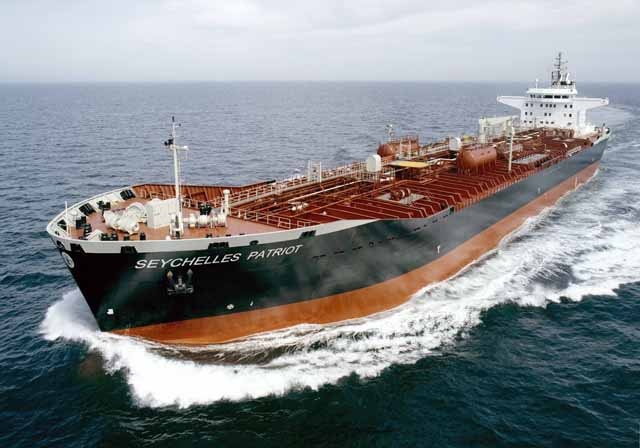 (Seychelles News Agency) - The Seychelles Petroleum Company (Seypec) is aiming at an all-Seychellois crew onboard its tankers by 2020, says a top official. Prosper said the company is targeting students who are interested in a marine career from the Seychelles Maritime Academy, the School of Advanced Levels and the Seychelles Institute of Technology. Seypec has a fleet of six tankers -- Seychelles Pride, Seychelles Pioneer, Seychelles Progress, Seychelles Prelude and Seychelles Patriot -- operating internationally since 2002, and a smaller one -- Seychelles Paradise for regional and domestic supply. 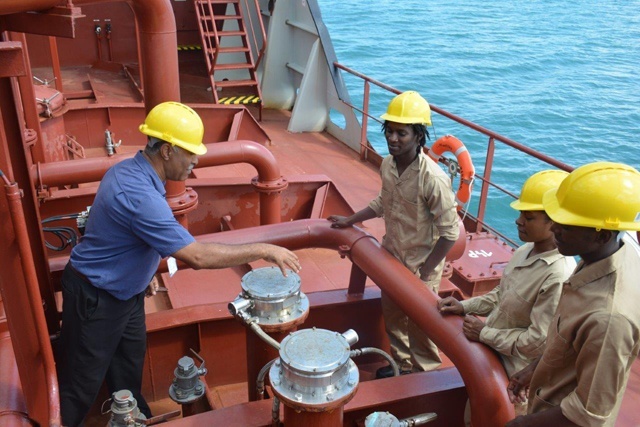 The company has currently 114 Seychellois working on its tankers ranging from the master -- highest rank -- to trainee cooks, the lowest rank. Seychelles, an archipelago of 115 islands in the western Indian Ocean, launched its first deep-sea tanker in 2002 with a crew of mostly foreigners. Prosper said that at that time, there were very few qualified local seafarers to take up positions onboard these tankers. Today, three Seychellois men have been promoted to master after completing their required studies and sea time, which is around 8 to 10 years. SNA spoke to one of the captains, Adrian Mondon, 35, in command of the Seychelles Pioneer -- the youngest Seychellois in command of a deep sea tanker. On average Monday says a trip can last between five to seven days, although there's been occasions where the trips have lasted up to a month. “It is exhilarating, challenging but most of all gratifying to have worked so hard for so long and to now have reached the pinnacle of my profession, not to mention the immense pride of having done it on our own tankers from the start,”said Mondon. To localise posts on board its oil tankers, Seypec is working with the local Maritime Academy and Sri Lanka’s largest non-governmental institution for higher education, Colombo International Nautical and Engineering College (CINEC). The Crew Manager at Seypec, Alain Asba, told SNA that previously the company sent its recruits to Europe, South Africa and even Australia for further training, which he says was costly. "These days after completing their Standards of Training, Certification and Watchkeeping for Seafarers course with the Seychelles Maritime Academy they go to CINEC in Sri Lanka for a four-month pre-sea course,” said Asba. As part of its long-term strategy in 2013, Seypec signed a five-year contract with German Tanker Shipping Company. “Before we had to place the recruits on our tankers only but now…with the inclusion of GT [German Tankers] we have a pool of 18 deep-sea vessels including Seychelles Paradise,” says Asba. 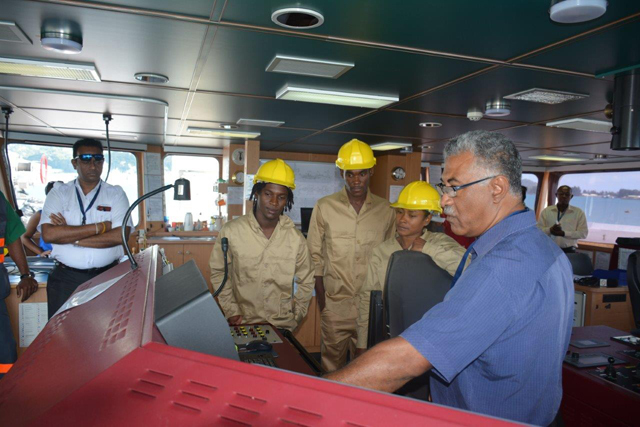 To ensure a gender balance crew in a male dominating field, Seychellois women are encouraged to choose a career on tankers. There are seven female seafarers on the Seychelles tankers with different ranks and Seypec expects by 2020 to also have its very first female Captain.